So, I’ve had this love affair with black-eyed peas since I was a kid. For a long time, I thought black-eyed peas were just a “South’n” thing, but apparently they’re grown & eaten all around the globe! When I cook them by themself, I always put a heavy dosage of Louisiana hot sauce on top and ketchup around the sides of the bowl. I know, I’m weird. I pulled this recipe out of the box a few weeks ago and thought it sounded insanely delicious…and no surprise there—it was! Pan-fried, lightly dredged chicken on top of black-eyes peas and mushrooms. Yum. I ate the whole pan myself within three days. 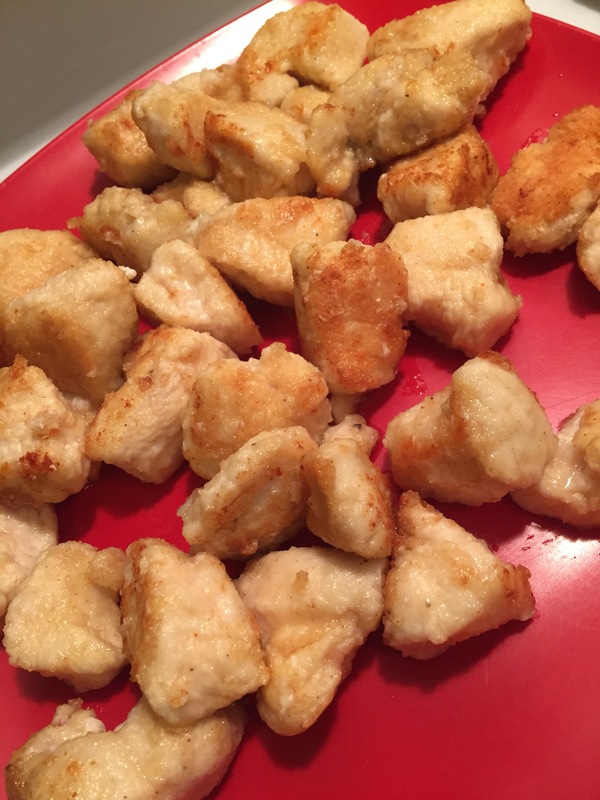 In large resealable plastic bag, combine flour, salt, pepper and Cajun seasoning. Add chicken, a few pieces at a time, and shake to coat. 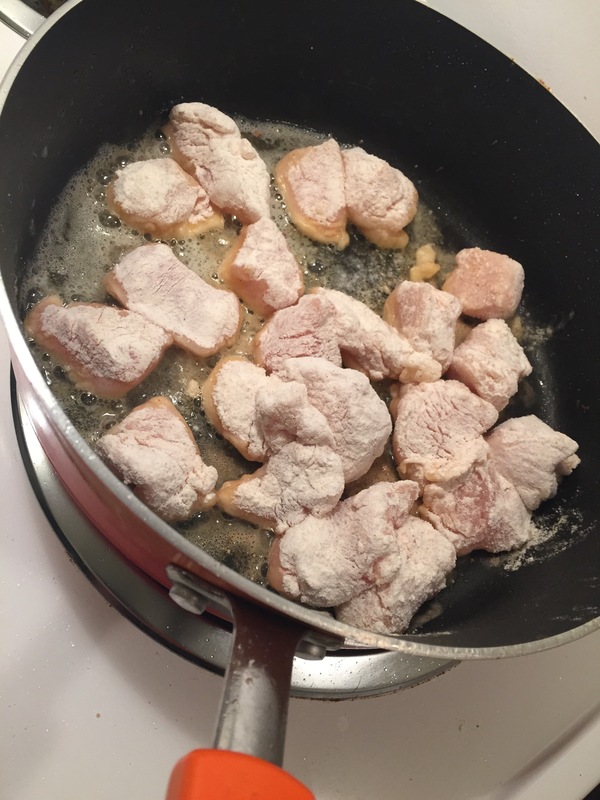 In large skillet, brown chicken in oil & butter on all sides, about 4 minutes. Remove chicken and set aside. 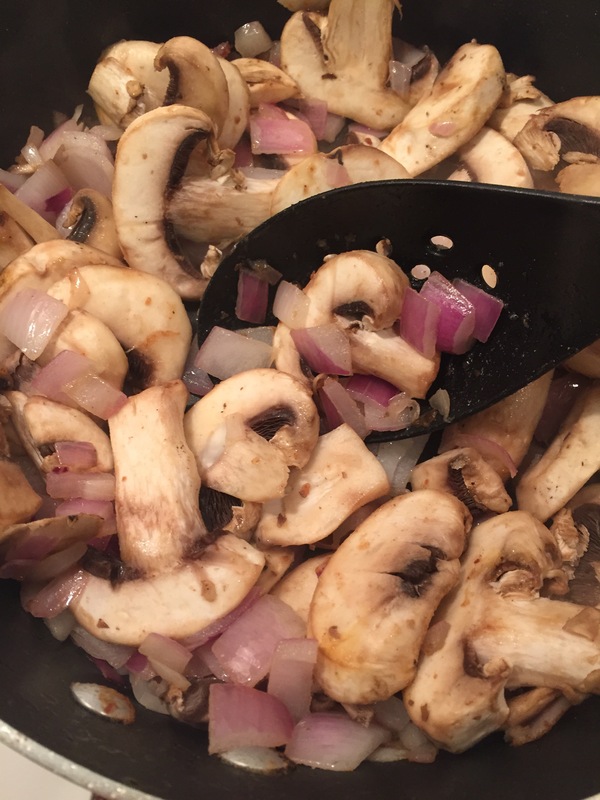 In same skillet, sauté mushrooms and onion until onion is crisp-tender, stirring to loosen brown bits. Add peas, garlic powder and herbes de Provence. Transfer to an u greased 13×9″ baking dish. 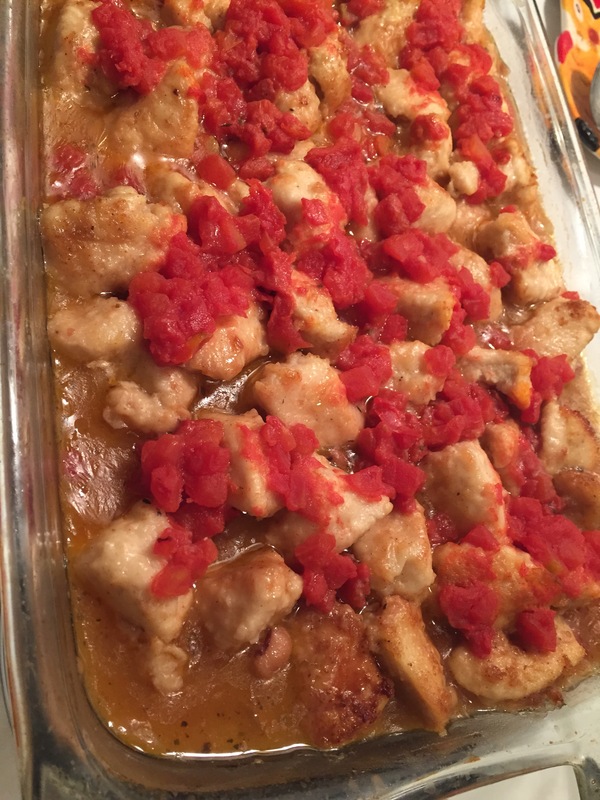 Arrange chicken over the pea mixture, pour wine (or broth) over the chicken and then sprinkle with tomato. Cover & bake @ 325 degrees for one hour or until chicken is done. Holy smokes this was good. 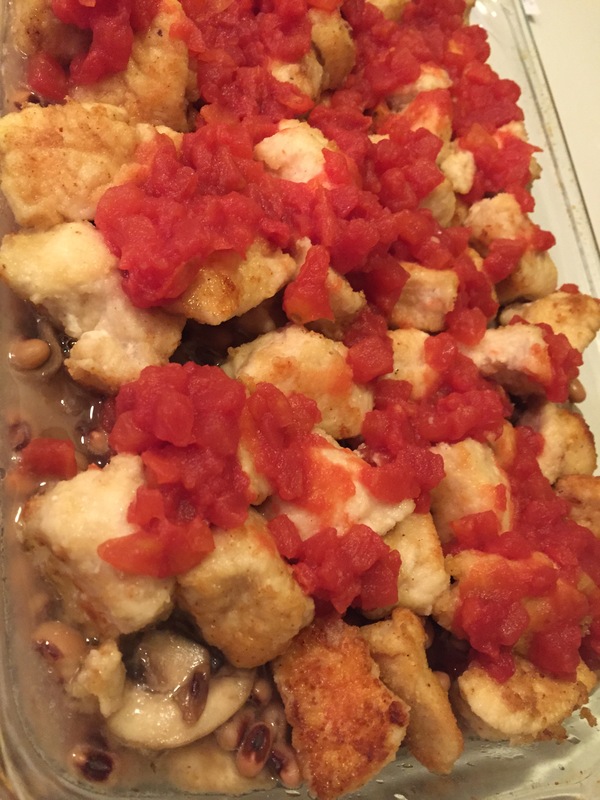 The chicken ended up being so tender and the perfect combo with the black-eyed peas and mushrooms. Enjoy!